22 of 25 teachers of the department have scientific degrees, including 5 doctors of medicine, 17 candidates of medical sciences. According to the curriculum, the staff of the department teaches surgery to students of the 5th and 6th years of the faculties of medicine (both Ukrainian and international, and since 2001 to English-medium students) as well as to interns specializing in surgery. Since the academic year 2009-2010 surgery is taught according to credit-module system (ECTS). More than 300 educational materials, including 5 textbooks, 65 monographs, 250 methodical instructions for students (including self-study) and recommendations for teachers were published. A set of tests in the format of "KROK 2” was created to control the progress of the students. 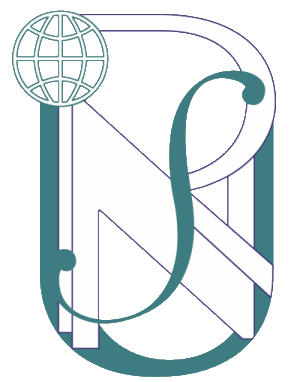 Computerized learning has been introduced in the department. More than 20 physicians undergo postgraduate training every year. Since 2013 postgraduate the department has been teaching Precertification training courses and specialization courses in five disciplines: "Surgery", "Endoscopy", "Vascular Surgery", "Surgery of the heart and major vessels", "Thoracic surgery", which is fully provided by teaching materials. The main field of research work at the department is the study of diverse issues of urgent pathology of the digestive system (complicated peptic ulcer, acute appendicitis, acute pancreatitis, acute intestinal obstruction, peritonitis, etc. ), as well as cardiovascular, thoracic issues. In the recent years more attention has been paid to development and introduction of minimally invasive surgery at abdominal, thoracic, cardiovascular surgery pathologies. Under the leadership of heads of departments (professor V.T. Zaytsev (who headed the department from 1970 to 1999) and V.V.Boyko, 45 doctors and 130 candidates of medical sciences, more than 155 residents (among them a significant number of foreign citizens) were prepared at the department. Significant work is conducted by staff of the department to develop new diagnostic methods and treatment of surgical patients. The head of department and teachers have received more than 400 patents of Ukraine for inventions and copyright certificates on inventions, which were introduced into practice by more than 130 industry innovations. Scientific papers were published in collaboration with scientists of the Institute of General and Emergency Surgery ( 97 books, more than 3100 scientific papers, numerous reports at congresses, conferences, conferences. Professor V.V.Boyko is a member of European Association of Surgeons and Association of Surgeons trauma and intensive care, European Association of Oncology and European Association of Vascular Surgeons, International Hepatobiliary and Pancreatic Association. The department has an effective cooperation with foreign educational and research institutions in carrying out of international scientific and educational programs, collaborative research. At present we cooperate in children cardiosurgery (operative treatment of children with congenital heart diseases) - International Children’s Heart Foundation (Canada, USA). In 2013 the department started cooperation on propaganda and development of high medical education with higher medical school in Sosnovec (Poland), and Yan Kamensky University in Brotyslava (Slovakia). 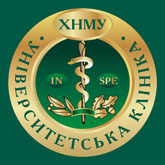 Clinical bases of the department are 2 powerful medical institutions: Institute of General and Emergency Surgery of Academy of Medical Sciences of Ukraine with his specialized surgical department (Cardiosurgery and cardiac arrhythmias, vascular, thoracic, surgical infections, shock and polytrauma, emergency surgery, etc.) 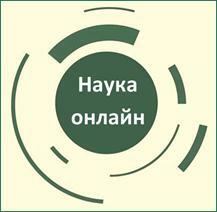 and 4 surgical departments of Kharkiv City clinical hospital of emergency aid named after Prof. O.I. Meshhaninov, 3 of which are specialized (miniinvasive technologies, polytrauma, peritonitis and intestinal obstruction) - 445 surgical beds, including specialized. The staff of the department is actively involved in all aspects of basic institution departments, i.e. consultation and treatment of surgical patients, diagnostic and therapeutic manipulations and research. Complicated operations for correction of congenital heart disease in children (including early age) such as developed heart diseases, with revascularsation in cases of infarction in patients with coronary heart disease (coronary artery bypass grafting), operations performed on the open heart with the use of cardiopulmonary bypass (ABCS) are performed. In recent such operations are possible without cardiac arrest. New modern technologies were developed and introduced (liver resection in its injuries, neoplastic processes, gas dissection of liver parenchyma, reconstructive surgery on the trachea). Miniinvasive surgical diagnostic and treatment technologies are implemented: laparoscopic (including in severe pancreatitis, obstructive jaundice, hernia) endovideoscopy (emergency clipping of bleeding gastric ulcers and varices, papillosphincterotomy in jaundice, the removal of polyps of the digestive tract) , angiographic endovascular (balloon dilatation of stenosed coronary arteries, carotid, renal arteries, main arteries and their subsequent stenting, emergency organ occlusion of arteries in acute hemorrhage, and others.) videothoracoscopy (suturing and resection of the lung with their trauma, drainage of abscesses and pleural lung, etc. ).